Or, how you can extract meaningful information from raw text and use it to analyze the networks of individuals hidden within your data set. We are all drowning in text. Fortunately there are a number of data science strategies for handling the deluge. If you'd like to learn about using machine learning for this check out my guide on document clustering. In this guide I'm going to walk you through a strategy for making sense of massive troves of unstructured text using entity extration and network analysis. These strategies are actively employed for legal e-discovery and within law enforcement and the intelligence community. Imagine you work at the FBI and you just uncovered a massive trove of documents on a confiscated laptop or server. What would you do? This guide offers an approach for dealing with this type of scenario. By the end of it you'll have generated a graph like the one above, which you can use to analyze the network hidden within your data set. We are going take a set of documents (in our case, news articles), extract entities from within them, and develop a social network based on entity document co-occurrence. This can be a useful approach for getting a sense of which entities exist in a set of documents and how those entities might be related. I'll talk more about using document co-occurrence as the mechanism for drawing an edge in a social network graph later. If you're not familiar with these libraries, don't worry, I'll make it easy to get off to the races with them in no time. Note that my github repo for the whole project is available. You can use corpus.txt as a sample data set if you'd like. Also, make sure to capture the force directory when you try to run this on your own. You need force/force.html, force/force.css, and force/force.js in order to create the chart at the end of the guide. If you have any questions for me, feel free to reach out on Twitter to @brandonmrose or open up an issue on the github repo. First, we need to get Core NLP running on Docker. If you're not familiar with Docker, that's ok! It's an easy to use containerization service. The concept is that anywhere you can run docker you can run a docker container. Period. No need to worry about dependency management, just get docker running and pull down the container you need. Easy. Stanford Core NLP is one of the most popular natural language processing tools out there. It has a ton of functionality which includes part of speech tagging, parsing, lemmatization, tokenization, and what we are interested in: named entity recognition (NER). NER is the process of analyzing text in order to find people, places, and organizations contained within the text. These named entities will form the basis of the rest of our analysis, so being able to extract them from text is critical. Docker now has great installation instructions (trust me, this wasn't always the case). I'm using a Mac so I followed their Mac OSX Docker installation guide. If you're using Windows check out their Windows install guide. If you're using Linux I'm pretty sure you'll be able to get Docker installed on your own. If this isn't empty you already had docker running with a container. If you are not able to run the docker or docker ps commands from your command line, STOP. You need to get this installed before continuing. This will pull motiz88's Docker port of Core NLP and run it using port 9000. This means that port 9000 from the container will be forwarded to port 9000 on your localhost (your computer). So, you can access the Core NLP API over http://localhost:9000. Note that this is a fairly large container so it may take a few minutes to download and install. If you don't, don't move forward until you can verify the Core NLP server is running. You might try docker ps to see if the container is listed. If it is, you can scope out the logs with docker logs coreNLP. If it is running feel free to play around with the server UI. Input some text to get a feel for how it works! To use Core NLP Server, we are going to leverage the pycorenlp Python wrapper which can be installed with pip install pycorenlp. Once that's installed, you can instantiate a connection with the coreNLP server. text = ("Bill and Ted are excellent! " "Pusheen Smith and Jillian Marie walked along the beach; Pusheen led the way. " "Pusheen wanted to surf, but fell off the surfboard. " The output object, as you can see for yourself is extremely verbose. It's comprised of a top-level key called sentences which contains one object per sentence. Each sentence object has an array of token objects that can be accessed at output['sentences'][i]['tokens'] where i is the index (e.g. 0, 1, 2, etc) of the sentence of interest. What is a token you ask? Typically in natural language processing (NLP) when you process text you want to tokenize it. This means splitting the text into its respective components at the word and punctuation level. So, the sentence 'The quick brown fox jumped over the lazy dog.' would be tokenized into an array that looks like: ['The','quick','brown','fox','jumped','over','the','lazy','dog','.']. Some tokenizers ignore punctuation; others retain it. You can print out the output if you're interested in seeing what it looks like. That said, we need to be able to identify the people that the ner or Named Entity Recognition module discovered. So, let's go ahead and define a function which takes a set of sentence tokens and finds the tokens which were labeled as PERSON. This gets a little tricky as individual tokens can be labeled as PERSON when they actually correspond to the same person. For example, the tokens Jean, Claude, van, and Dam all correspond to the same person. So, the function below take tokens which are contiguous (next to one another) within the same sentence and combines them into the same person entity. Perfect! By the way, this proc_sentence function is not very Pythonic. Ideas for doing this more efficiently are welcome! same named entity, Brandon Rose. Let's take a look at the people which we can extract from each of the sentences. Note that the output of the proc_sentence function is a set, which means that it will only contain unique people entities. Looking good, except notice that we see two items for Pusheen: 'pusheen' and 'pusheen smith'. We've done a decent job of entity extraction, but we need to take some additional steps for entity resolution. If entity extraction is the process of finding entities (in this case, people) within a body of text then entity resolution is the process of putting like with like. As humans we know that pusheen and pusheen smith are the same person. How do we get a computer to do the same? There are many approaches that you can take for this, but we are going to use fuzzy deduplication found within a Python package called fuzzywuzzy (pip install fuzzywuzzy). Specifically, we'll use the fuzzy deduplication function (shameless plug, this is something I contributed to the fuzzywuzzy project). We can use the defaults, however you are welcome to tune the parameters. Note that you may be asked to optionally install python-Levenshtein to speed up fuzzywuzzy; you can do this with pip install python-Levenshtein. As an example of what fuzzy deduping is, let's try it! From our last step, we already have a list containing duplicates where some entities are partial representations of the other (pusheen vs. pusheen smith). Using fuzzywuzzy's dedupe function we can take care of this pretty easily. Fuzzywuzzy defaults to returning the longest representation of the resolved entity as it assumes this contains the most information. So, we expect to see pusheen resolve to pusheen smith. Also, fuzzywuzzy can handle slight mispellings. That looks like a useful list of entities to me! For this guide I'll be using a selection of news articles from Breitbart's Big Government section. Who knows, maybe we'll gain some insights into the networks at play in "Big Government." Could be fun. To get the articles, I'm using Newspaper. I'm going to scrape about 150 articles off the Breitbart Big Government section. Since this type of scraping can lead to your IP address getting flagged by some news sites, I've added a small sleep of 1 second between each article download. Just in case we get flagged, make sure to save our corpus. If you have a hard time using newspaper to get data you can just load up the data from corpus.txt within the github repo. where the index is the order we read in the data. Wrapper for coreNLP and fuzzywuzzy entity extraction and entity resolution. We can now process each article we downloaded. Note that sometimes newspaper will return an empty article so we can double check for these to make sure that we don't try to send them to Core NLP Server. Now we need to actually generate the network graph. 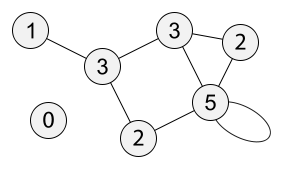 I'll use the Python library networkx (pip install networkx) to build the network graph. To do this, I need to generate a dictionary of entities where each key is a unique entity and the values are a list of vertices that entity is connected to via an edge. For example, here we are indicating that George Clooney is connected to Bill Murray, Brad Pitt, and Seth Myers and has the highest degree centrality in the social network (due to having the highest number of edges). Before we get started building our graph, we need to conduct entity resolution across our document corpus. We already did this at the document level, but surely different articles will refer to the President and others in different ways (e.g. "Donald Trump", "Donald J. Trump", "President Trump"). We can deal with this in the same way we handled differences within the same article with a slight addition: we need to build a lookup dictionary so that we can quickly convert the original entity into its resolved form. # manually add the donald back in since fuzzy_dedupe will preference donald trump jr.
Looks good! This way we don't have multiple entities in our graph representing the same person. Now we can go about building an adjacency dictionary which we'll call entities. Before we continue, we can do some cool things with our graph. One of them is determining who the most important people in our network are. We can quickly do this using degree centrality, which is a measure of the number of edges a node in our graph has. In this case, each node in the graph represents a person entity which was extracted from the Breitbart articles. The more people that a given individual co-occurred with the higher the degree of that node and the stronger his or her degree centrality. When we calculated degree centrality with networkx we are returned normalized degree centrality scores which is the degree of a node divided by the maximum possible degree within the graph (N-1, where N is the number of nodes in the graph). Note that the term node and vertex can be taken to mean the same thing in network analysis. I prefer the term node. We can take a guess that since these articles were from Breitbart's government section there will be a number of articles referencing Donald Trump. So, we can assume he'll be at the top of the list. Who else will bubble up based on the number of people they are referenced along with? Let's find out! The fact someone co-occurs in a document with another person does not mean anything specifically. We can't tell that they are friends, lovers, enemies, etc. However, when we do this type of analysis in aggregate we can begin to see patterns. For example, if Donald Trump and Vladimir Putin co-occur in a large number of documents we can assume that there is a dynamic or some sort of relationship between the two entities. There are actually approaches to entity extraction which attempt to explain the relationship between entities within documents, which might be fodder for another guide later on. All that said, typically this type of analysis requires a human in the loop (HITL) to validate the results since without additional context we can't tell exactly what to make of the fact that Donald Trump and Vladimir Putin appear to have a relationship within our graph's context. You actually can generate static network plots using networkx and matplotlib, but they aren't very fun and are hard to read. So, I've packaged up some d3.js for you that will render the plots within an iframe.